North Georgia – Due to recent weather conditions, any well or spring that has been covered with flood waters must be considered contaminated. 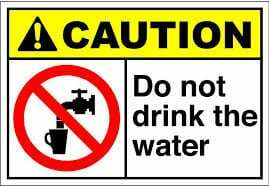 Do not drink the water until after flood waters have receded, the well or spring has been disinfected with household bleach and the water has been laboratory tested. Contact the local county Environmental Health Office for questions and further instructions, if needed. Well disinfection is necessary if the well or spring was covered with flood waters. Before chlorinating, it is important to check the integrity of the well or spring water source to prevent future contamination. Well construction must prevent entry of surface water, debris, insects and animals. The well casing and concrete slab should be sealed and the well cap or sanitary seal must be secure. Springs should be in a sealed spring house. Thoroughly clean all accessible outside surfaces removing any loose debris and mud around the well or spring. Then, wash the well area with a strong chlorine solution (1 quart of household bleach per 5 gallon of water). Determine the amount of water in the well. Calculate the amount of bleach chlorine needed. DO NOT USE SCENTED BLEACHES. Health officials recommend using the normal strength household bleach, which is 5.25 percent sodium hypochlorite. 20’ 3 pints 3 pints ½ gal. ½ gal. 2 gal. 3 gal. If depth and diameter are unknown, 1 gallon of bleach can be used. Extra bleach does not necessarily mean extra disinfection and can be a health hazard in itself. DO NOT DRINK OR PREPARE FOODS WITH WATER WHILE BLEACH IS IN THE WATER SYSTEM! Run water from an outside faucet through a hose until a strong chlorine odor can be detected. Place the end of the hose in the well allowing the water to run down the sides of the casing and circulate for at least 15 minutes. Replace the well cap. Turn off the hose and enter the home opening each tap, one at a time, until the smell of chlorine can be detected. Please include hot water faucets, toilets, bathtubs, washing machine, etc. Once the chlorine odor reaches all outlets, let the water system stand for 8 hours, preferably overnight. Refrain from any water use during this time. Flush the system of chlorine by turning on an outside faucet letting it run until the chlorine odor dissipates. Finally, run indoor faucets until the water is clear and the chlorine odor is gone. Do not run any unnecessary water into the septic system or allow the chlorinated water to drain directly into a stream or pond. Continue this process until the odor of bleach is completely gone. The water should be laboratory tested to determine if it is safe to drink. It is recommended that over the next several weeks two additional samples be taken to be sure results are satisfactory. Repeated chlorination and/or a well professional should be called if problems remain. If not sure how to disinfect a well or spring, how to take a well sample or how to get laboratory results, contact the local county Environmental Health Office.